The testing of the MagicBands continues this week at Disney’s Hollywood Studios. Handheld readers will be carried by cast members outside of the turnstiles and guest will be required to scan their MagicBands for entry. Once their MagicBand is validated they will still need to use the MagicBands to enter every attraction. 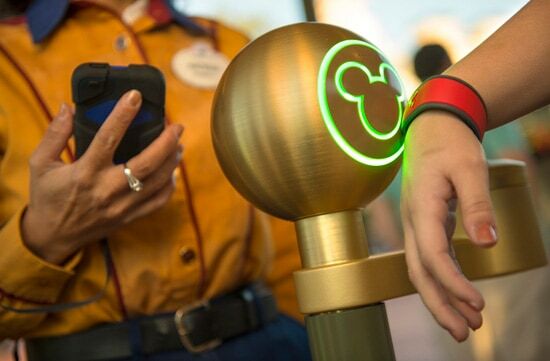 Resort guests without MagicBands can continue to use their resort ID cards for entry and access to the Extra Magic Hour attractions.